Pranakriya Yoga was founded by Yoganand Michael Carroll, the current Dean of the Kripalu School of Yoga. Yoganand was a longtime student and resident at the Kripalu Center in Lenox, MA. During this time, he studied under Amrit Desai and Swami Kripalu and delved deeply into the teachings of Kripalu yoga. He was granted permission to share this knowledge with Kripalu practitioners as he saw fit. Thus, Pranakriya Yoga was named. ​View the schedule to take Pranakriya Yoga classes taught by Angela and Nathan and other Pranakriya Immersions and Retreats here in Riverside, CA and around the country! 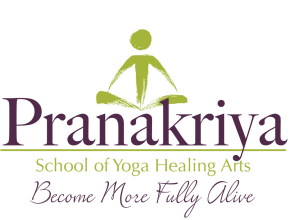 Pranakriya Yoga Teachers Association is a great resource and now open to the public. Join today!